[S392] Website findagrave.com (http://www.findagrave.com/) "#50561313." [S364] Eben Graves, The descendants of Henry Sewall. Vol. II (Unpublished), #151 iii. [S205] Newspaper, Milwaukee Daily Sentinel, 14 January 1879. Abel Merrill was born on 1 October 1755 in Arundel (Kennebunkport), Maine. 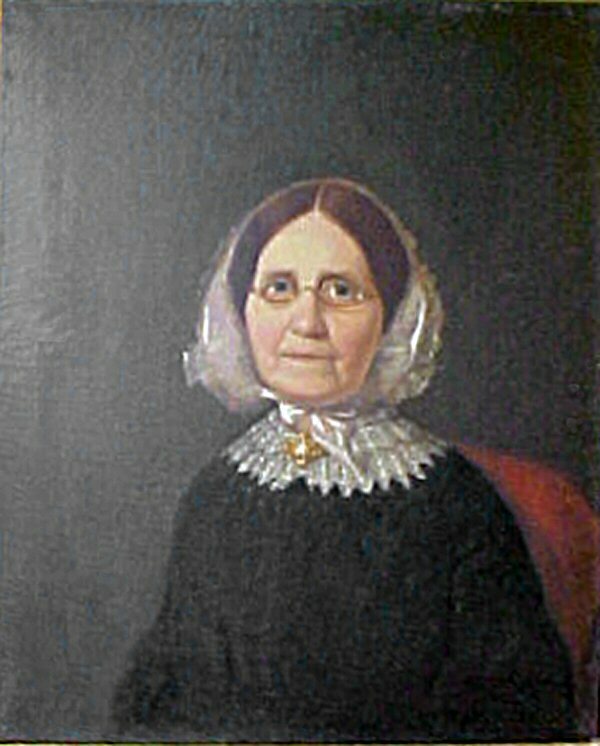 He married Mehitable Burbank, daughter of Benjamin Burbank and Jane Sewall, on 5 December 1776 (for issue see 107 NEHGR.) Abel Merrill died on 16 April 1837 at the age of 81. [S34] Unverified internet information, Eben Graves. [S330] Wallace Redmond Forrester, House of Forrester, p. 138. Betty Merrill married Philip Greeley. [S179] Daniel Langdon Tappan, Tappan-Toppan Genealogy, p. 81. [S46] Various contributors, Daughters of the American Revolution, Vol. 55 p. 122. [S392] Website findagrave.com (http://www.findagrave.com/) "# 36675559." [S365] Eben Graves, The descendants of Henry Sewall. Vol. II (Unpublished), p. 205. Stephen Merrill was born in 1748 in Newburyport, Massachusetts. He married Phoebe Clifford.1 On 1780 he entered military service as a private in Capt. Richard Titcomb's company, Col. Nathan Wade's regiment, Essex County, Mass. Stephen Merrill died in 1828 in Edgecomb, Maine. Mary Merry married Thomas Jermyn Baron Jermyn of St. Edmundsbury.